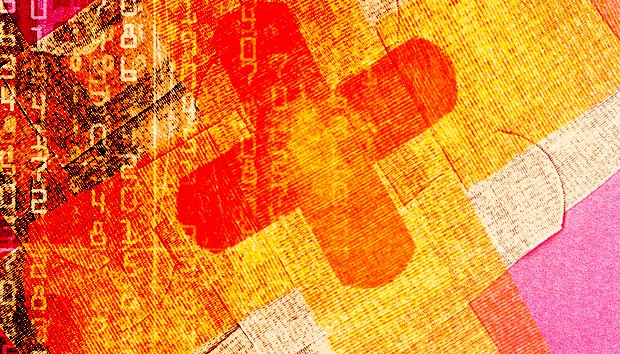 The Internet Systems Consortium (ISC) patched two vulnerabilities in domain name system software BIND, one of which was referred to as a "critical error condition" in the software. BIND is the most commonly deployed DNS server on the internet, translating domain names into IP addresses so that users can access applications and remote servers without having to track IP addresses. BIND is the de facto standard on Linux and other Unix-based machines; a vulnerability in the software affects a large number of servers and applications. The latest BIND update, versions 9.9.9-P3, 9.10.4-P3, and 9.11.0rc3, patched a denial-of-service flaw (CVE-2016-2776) that could be exploited using specially crafted DNS request packets. The issue was uncovered internally by ISC and affects all servers that can receive request packets from any source, ISC said in its advisory. Affected versions include 9.0.x to 9.8.x, 9.9.0 to 9.9.9-P2, 9.9.3-S1 to 9.9.9-S3, 9.10.0 to 9.10.4-P2, and 9.11.0a1 to 9.11.0rc1. Users are advised to update their BIND installations to the "patched release most closely related to your current version of BIND," or versions 9.9.9-P3, 9.10.4-P3, and 9.11.0rc3. The fix is also in the BIND 9 Supported Preview edition as version 9.9.9-S5. "Testing by ISC has uncovered a critical error condition which can occur when a nameserver is constructing a response," said the ISC, which has been maintaining BIND since 2000. The issue is tied to a defect in the rendering of messages into packets when the nameserver is constructing a response. If the vulnerability is exploited via specially crafted requests, it could trigger an assertion failure in buffer.c while constructing a response to a specific type of a query. The exploit would succeed "even if the apparent source address isn't allowed to make queries (i.e. doesn't match 'allow-query'." The issue was marked high-severity with a 7.8 score on the Common Vulnerability Scoring System because it can be exploited remotely. Red Hat's advisory says the attack doesn't require any authentication, additional privileges, or user interaction to successfully exploit the flaw, so the issue is particularly dangerous. It's easy to downplay the severity of a denial-of-service flaw in a security advisory, especially when compared against privilege escalation or remote code execution. However, because BIND is central to implementing the DNS protocol on the internet, a vulnerability that could be exploited to knock systems offline would have a wide-reaching impact. A specially crafted query that could crash the name server daemon isn't simply an inconvenience or a minor setback. It could bring portions of the internet to its knees. This BIND update also fixed a previously disclosed medium-severity DoS condition (CVE-2016-2775) in BIND's implementation of the lightweight resolver (lwresd) protocol. The error stems from the fact that a server can terminate if the resolver tries to resolve a query name, which, when combined with a search list, exceeds the maximum allowable length. "A server which is affected by this defect will terminate with a segmentation fault error, resulting in a denial of service to client programs attempting to resolve names," ISC said in the advisory. The vulnerability is also "troublesome" for embedded devices running BIND, as remediation involves fixing BIND and updating all the devices with the embedded software. "We will again see organizations scrambling to determine if they use the component, and where," said Mike Pittenger, VP of Security Strategy at Black Duck Software.